Tolland Bicycle is putting in an order for some shop jerseys, by Pactimo.. both short and long sleeve. There is an opportunity to preorder the jerseys. If you are interested in purchasing jerseys..please send me the quantity, size and style (long or short sleeve) by Monday at noon. The cost is $90.00 for long or short sleeve. They tend to run a bit snug.. both Dave and I usually wear a medium.. but with the Pactimo jerseys, we wear a large. Every Sunday WOMEN’S RIDE 9:00 AM There is a weekly women’s ride every Sunday, weather permitting. It leaves from the Cardio Express parking lot, in Tolland, at 9am. We ride about 15 miles at a social pace, about 12 mph. Feel free to join us any Sunday and bring friends who may be interested! The Seven Lakes Ride on Sunday, June 30th. We are looking for volunteers to help out with the event. We are also accepting baked goodies for the rest stops. Please email me at neracearth@nerac.com if you can pitch in and help make this a great inaugural event! This will count towards you club membership requirements. If you would like to lead a ride or inform our members of an upcoming ride or event.. please email me the details and I will include it in the next Upcoming Rides and Events email. traverse the towns of Stafford, Willington, Union, Staffordville, and Stafford. So come out and “Pedal for Patients”!!! Saturday, August 24, 2013 9th Annual Hoosic River Bike Ride! NEW THIS YEAR! A CENTURY RIDE & A NEW VENUE! 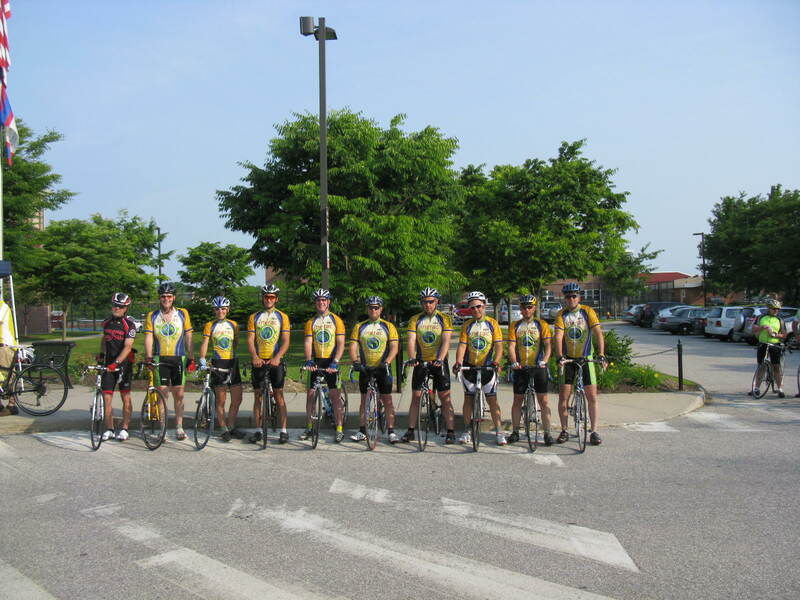 We’ll also have the very popular 75 mile, 50 mIle, 30 mile, and 7 mile ride. All of our routes traverse primarily secondary roads with amazing views (Mt. Grelyock, Jiminy Peak), rolling farm lands, covered bridges, historic landmarks, and yes, even a (tiny) bit of hard-packed dirt (suitable for regular road tires). Our rides have familiar gorgeous views seen in past years, with new ones too! Our participants have loved the challenge of our routes and the novelty of having their workout catered, while visitors have seized upon the cultural opportunities – everything from world class art to great theatre and music – to make the ride part of a great getaway weekend! Our new venue is the brand-new Williamstown Youth Center, 66 School St., Williamstown, MA. Each group of riders rollout together to start their chosen route. There are well-stocked aid stations. Routes are marked on the roads and cue sheets are available. EMT support is on the routes and at the registration area. Additionally, roving tech support is on each route. A complimentary tech check at registration is provided by Highlander Bikes. A wonderful post-ride picnic (with farm-fresh food) will start at 11:30 and run until 4:30 to help celebrate your day. We’ll also have massages provided by Tsubo Massage. See our specially designed bike jerseys and maps of the routes, including elevation charts. September 6-8th (traditional century: Sept. 7). The Three Notch Century is a scenic 100-mile cycling ride through the White Mountains of New Hampshire. Participants of all abilities are challenged on the same course over 1, 2 or 3 days. All proceeds will directly benefit Northeast Passage’s adaptive sports programs for people with disabilities. For more information about the event or to register, please visit www.threenotchcentury.org. Monday-Friday – Nerac Lunch Time Ride. We try to get out every day, usually a road ride.. with a start time usually between 12 and 1. If you want to stop by and join us for the ride, email me at neracearth@nerac.com and I will let you know what time we are riding that day. Cardio Express Parking lot in Tolland, many people ride to the start so don’t panic if you’re the only car in the parking lot. join us any Sunday and bring friends who may be interested! Bicycle on Facebook to find out the status of the ride.